At Melbourne Towing, we’ve mastered the techniques required to tow delicate vehicles and the the methods needed to best optimize flatbed tows. Flatbed tow trucks offers customers versatility that other tow trucks lack, giving the option to tow different kinds of vehicles and all at once. With other tow trucks such as hook and chains or wheel trucks, they fail to provide the same kind of protection or multiple use that flatbeds can offer. 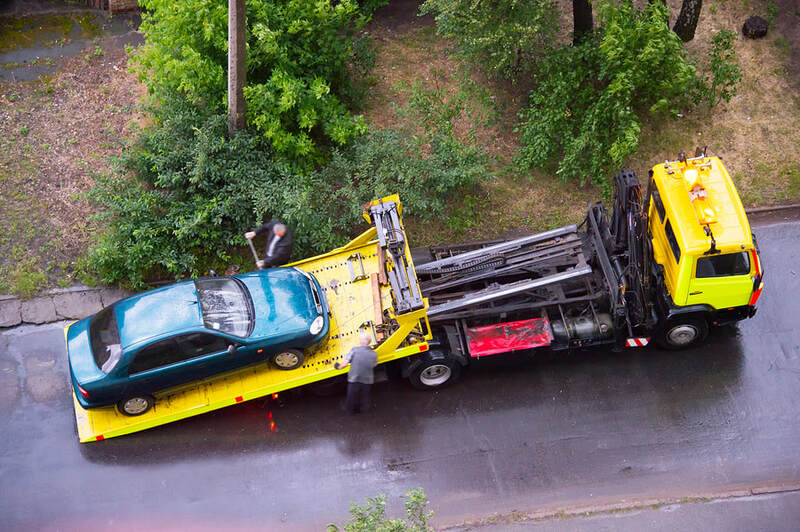 Due to this, we’re proud to supplement flatbed towing to cater to a variety of towing needs. In order to start towing vehicles on our fleet of flatbed tow trucks, we must first assess the vehicle’s structure, damage, and any existing marks or scratches. This is done to ensure that the vehicle does not obtain new ones during the towing process. As the flatbed is able to be leveled to the ground like a ramp, we then maneuver it onto the flatbed and secure it in place. We double check that it’s secure before moving forward. We use the market’s strongest and most durable harnesses, straps, and hauling chains to bolster your vehicle onto our flatbed. This is done by clipping the vehicle to a supportive lever on our flatbed and pulling it into place. Our towing tools are designed to be secure and to keep your vehicle free from potential damage during the towing process. The flatbed is generally made of a sturdy steel that allows for traction so your vehicle doesn’t shift. We ensure that your vehicle is locked in place before moving and enhance this practice with flatbeds that are composed of equally durable and secure materials. The types of vehicles that can be efficiently towed on a flatbed range from sedans, SUVs, and trucks, to motorcycles, four-wheelers, golf carts, etc. Flatbeds extend and are able to hold virtually any vehicle that you want placed on them and are usually wide enough to hose multiple vehicles for one sitting. The flatbed gives enough space that makes them ideal for large hauls such as motorcycle orders or transporting several cars to dealerships. Regardless of its use, flatbeds can easily accommodate a variety of vehicles that other tow trucks and methods fail to do with ease. What makes our flatbed towing services so unique, is our attention to detail and dependability that customers can rely on. We’ve been trusted with expensive, old, wrecked, and antique vehicles that need towing, all of which require caution and safety when moving. We understand this and do our best to provide you with a trusted towing service that won’t endanger your vehicle, cause damage to it, or put it at risk for further damage. Especially in cases where the vehicle has experienced collision damage, a flatbed towing system proves to work best as the vehicle may not be attachable to another type of tow. You can depend on our flatbed towing to safely transport your vehicle, damages or not.